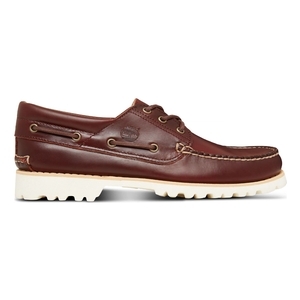 Timberland Chilmark 3 Eye Handsewn Deck Shoes. Be light on your feet with revolutionary XL EXTRALIGHT® foam in the soles of these men?s shoes for durable lightweight comfort. Good fit and extremely light. Comfortable to wear. Much lighter (due to the special sole) than the traditional Timberland 3 eye classis lugs I have always worn before so this shoe is more comfortable in addition they are less expensive. Fit is perfect and comfy very light great shoe would recommend company to anyone.